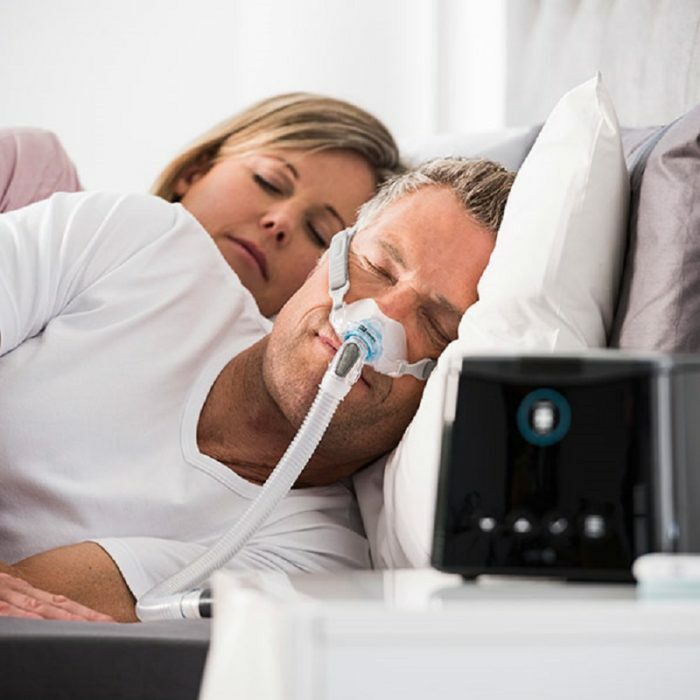 F&P SleepStyle, available in AUTO or PREMO (fixed pressure) models; the LATEST device released by F&P, offers you simplicity and comfort with SleepStyle’s quiet, integrated design. 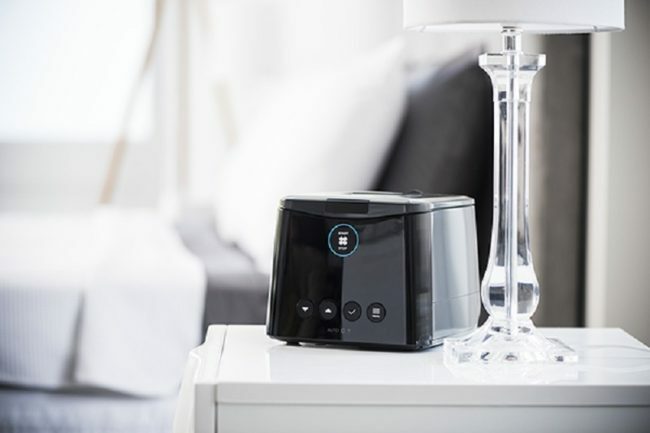 The power supply and humidifier have been integrated fully, to minimise space taken on the bedside table. 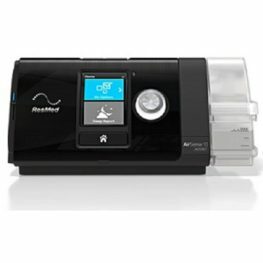 SleepStyle also offers Expiratory Pressure relief for added comfort. Built-in cellular connectivity options means you get information when you need it. 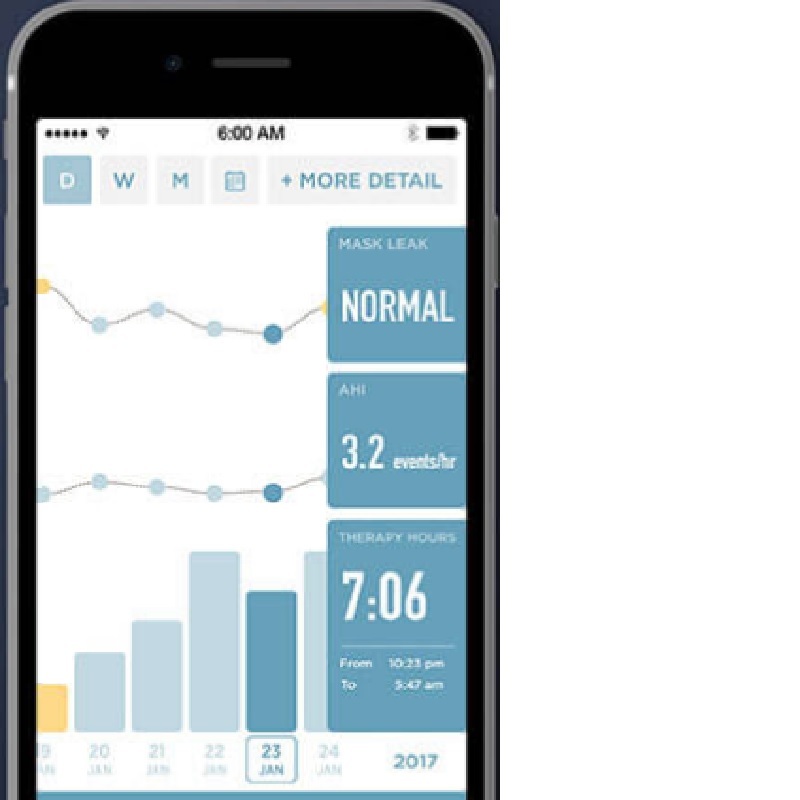 Automatic data transfer via Bluetooth® technology enables users to track their progress instantly via the SleepStyle App and clinicians to offer cloud-based sleep data monitoring via InfoSmart Web. The auto algorithm uses a flow-based system to automatically adjust pressure in reaction to flow limitations, apnoeas and hypopnoeas. 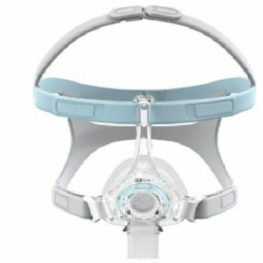 This breath-by-breath analysis offers a personalized treatment during sleep. 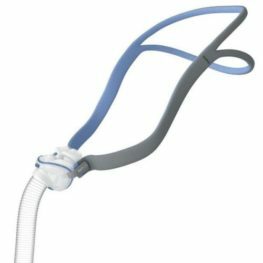 F&P’s world-class humidification features a heated breathing tube with AirSpiral™ technology that is designed to minimise condensation. 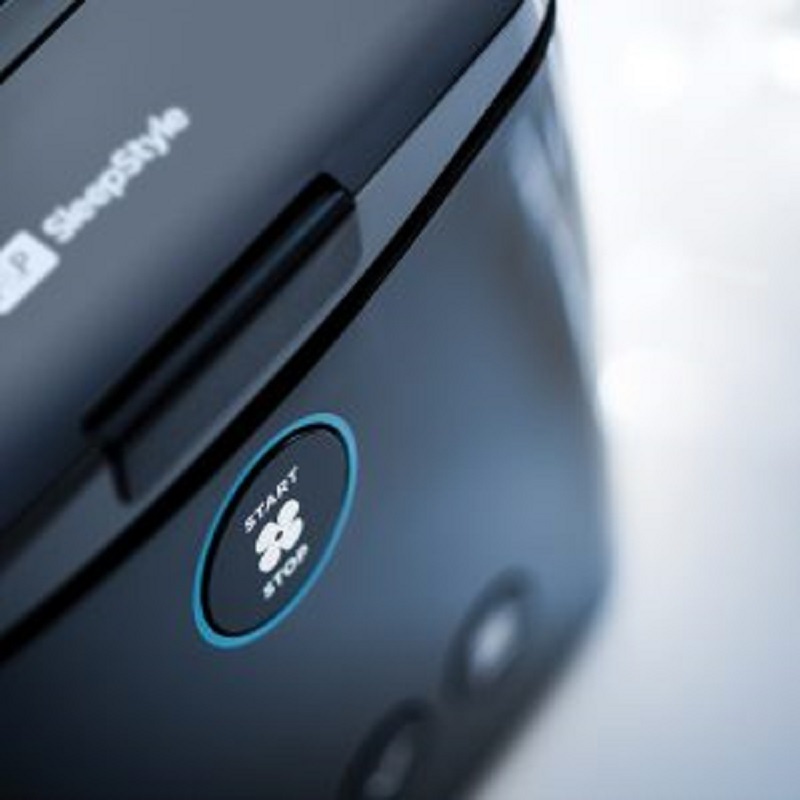 SleepStyle’s enhanced algorithm delivers a comfortable humidification experience for patients. Designed to enhance engagement with therapy. Users have access to meaningful information allowing them to follow their progress and compare it against how they did on previous nights. With built-in connectivity options ensures automated data transfer while Bluetooth® technology enables users to track progress instantly using the SleepStyle App. In collaboration with users F&P have created large and responsive buttons that work in harmony with the menu to allow quick navigation and ease of use. Just need to push “Start”. 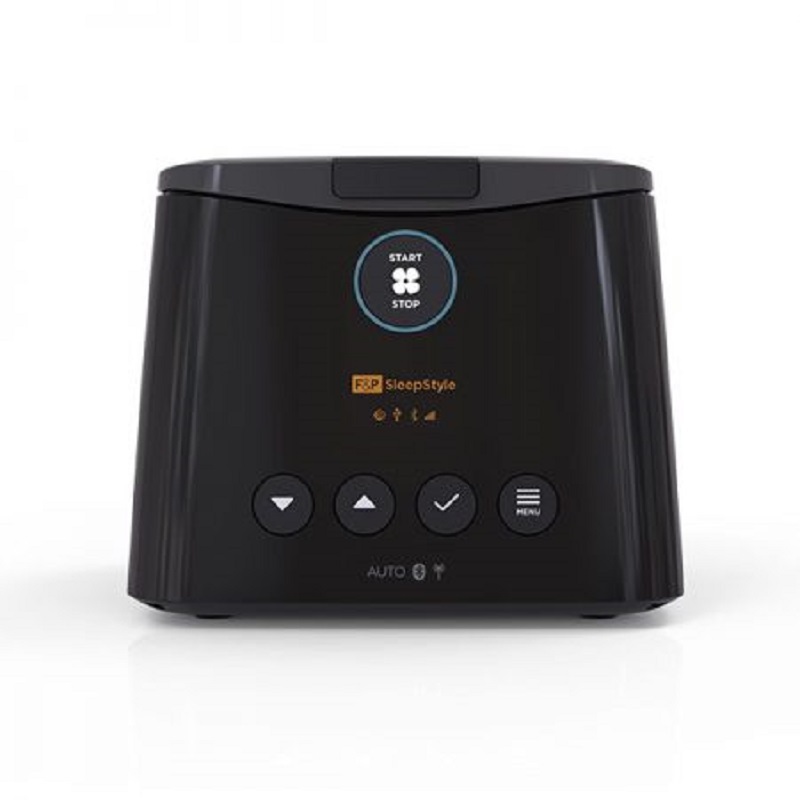 Be the first to review “FISHER & PAYKEL SLEEPSTYLE AUTO APAP UNIT” Click here to cancel reply.